Florence's father came from Finland when he was 18 years old. Following is the obituary provided by Lintz Funeral Home in Indian River, Michigan. Florence (Koski) Makima 80, passed away November 2, 2012 at her home with family by her side after a courageous 3 year battle with cancer. Florence was born May 24, 1932 in Detroit to George and Aili (Luoma) Koski. She graduated with the class of 1950 from Mass High School in Mass City, Michigan. On August 12, 1950 she married Herbert Makima in Detroit, living there and Garden City for 19 years, then moving to Cheboygan, Michigan in 1969. Florence was active in their family businesses; she was also employed as a merchandiser for American Greeting Cards for 17 years. 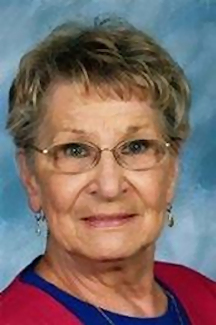 She was very active in the community, Worthy Matron of the Order of the Eastern Star #182 (Cheboygan) and Life Member, President of the Cheboygan Lioness and Member of the Red Hatters. She loved to read, do crossword puzzles, tend to her flowers and do needle work, which were done to perfection. All who met Florence knew her as a wonderful and caring person. She was preceded in death by her parents, a brother Raymond Koski, a son-in-law Rodney Kirkpatrick, and several aunts and uncles. Survivors include her loving husband (Herb) of 62 years, four children Mark (Terry Ann) Makima of Cheboygan, Terry Rae (Makima) Kirkpatrick of Crystal Falls, Robert (Julie) Makima of Cheboygan, David Makima of San Diego, California, a brother, Dale Koski of Lake Linden, Michigan, a sister-in-law Alice Koski of Westland, Michigan, 7 grand children, 11 great-grand children, numerous nieces and nephews, and 2 uncles, 1 aunt and several first cousins in Finland. A memorial service will be held on Saturday, November 10, 2012 at 11:00 a.m. at St. Thomas Lutheran Church in Cheboygan with gathering of friends and family beginning at 10:00 a.m. A luncheon will follow the service. Burial will be at Pinehill Cemetery at a later date. In lieu of flowers, memorials may be made to St. Thomas Lutheran Church, or Hospice of the Straits. Online condolences may be made at www.stonefuneralhomeinc.com. Nordman-Christian Funeral Home is caring for the family.